This beautifully designed Cuisinart indoor grill works as a contact grill, panini press, full grill, full griddle and half grill/half griddle. You can cook various kinds of foods by these 5 cooking options. You will be able to cook any kind of food by this indoor electric grill. The whole appliance is built very smartly built. Its brushed stainless steel housing and sturdy panini-style handle work beautifully. The plates and drip tray are very easily removed. The parts are nonstick so it can be cleaned easily. The adjustable temperature helps you to get the control over your food. You will get an output the way you want. The temperature varies from 200 degrees Fahrenheit to 450 degrees Fahrenheit. There is also an indicator light. All these features give a fine output. There are so many features in this indoor electric grill that, you will be excited to try some new recipes. Give it a try. 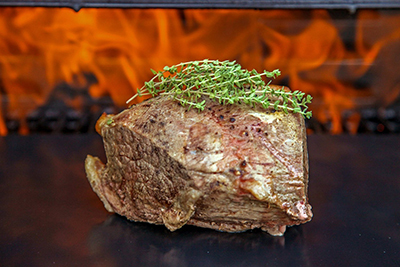 Cuisinart Indoor Grill will make you very happy. Cuisinart Indoor Grill offers 5 in 1 cooking option. This indoor electric grill can cook any kind of food by its five cooking options (contact grill, panini press, full grill, full griddle and half grill/half griddle). The stylish brushed stainless steel housing will give your kitchen an elegant look. Another smart indoor grill T-Fal GC702D OptiGrill has also 6 cooking options and 2 cooking modes. The upper lid of the grill is built with a wide panini-style handle and a hinged floating cover. This floating cover helps to adjust the thickness of your food so that your food doesn’t get too much pressure. You can customize the cooking surface by changing the removable and reversible nonstick grill and griddle plates. 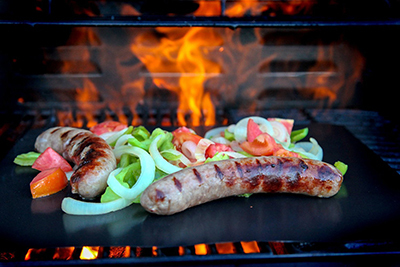 You can also open the grill all the way flat and use it as a whole grill plate. Then the cooking surface becomes 200 square inches. The drip tray underneath the cooking surface will hold the grease from your food. You can change the temperature of your griddle the way you want to. For the panini function, you can change the temperature from warm to sear. The features of this indoor grill will make sure to give a delicious food at the end of the day. 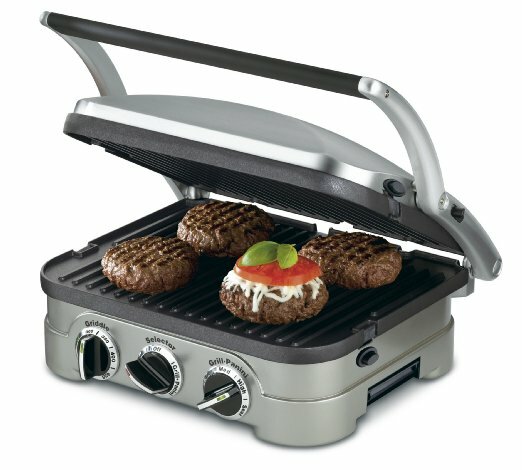 The Cuisinart GR-4N 5 in 1 Griddler is built very smartly and beautifully. In the base of the indoor electric grill, there are mainly three controls. Two of them control the temperature of griddle and grill-panini and the other one is the function selector. The griddle has six options (200, 250, 300, 350, 400 and 425). The grill-panini has five options (warm, low, medium, high and sear). By the function selector, you can choose in which function you want to cook. Some indoor grills like Breville Smart Grill BGR820XL, Cuisinart GR-150 Griddler are very smartly built so that your work becomes easy. All these things are so clearly designed that you will not be confused while using this magnificent Cuisinart indoor grill. You can customize your food the way you want. The design is very smart and elegant. 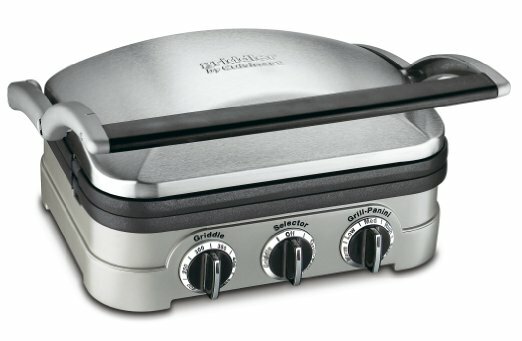 If you want to control the temperature of upper grill and lower grill separately, then go for Cuisinart GR 150 Griddler. Cleaning up is very easy with the Cuisinart Indoor Grills. The parts are dishwasher safe. So after cooking wait for 30 minutes and then just put them in the dishwasher. You can use the scraping tool to remove any kind of dirt at the plates. As the parts are nonstick, so dirt will come off easily. If you don’t want to use a dishwasher, then clean it with your hands. If you don’t want to use a dishwasher, then clean it with your hands. It is not a hard task. Use a wet towel and all the dirt will come off easily. Don’t get too much tension about cleaning. A nice brand like Cuisinart will make sure to make you do less work. ​This indoor electric grill grill gives you 5 cooking options. So you can grill any kind of food you want. You have 5 cooking options by which you can create variety in your taste bud. 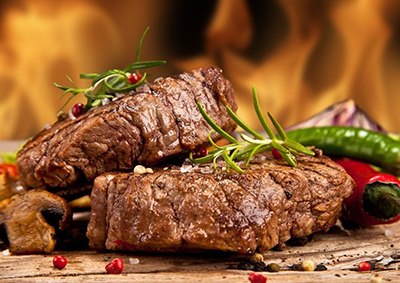 Full Grill: You can cook steaks, burgers, poultry, vegetables and fish. If you want to cook chicken, then it must be boneless. If you use the grill as a full grill, then you get a huge space for cooking which is about 200 square inches. So you can cook many foods with this Cuisinart indoor grill at once. Full Griddle: By the full griddle, you can cook mainly breakfast meals like eggs, French toast, hash browns, pancakes. You have to open the grill all over flat because you want to use it as a full griddle. 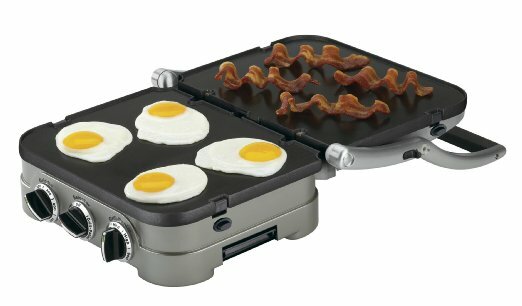 By this, you can cook breakfast at once for your family. Half Grill/ Half Griddle: When using half grill/ half griddle you can cook a full meal. You can cook steaks, eggs, vegetables, bacon at a time. So that you can cook everything at once. This is a perfect function for 2-3 persons. Contact Grill: The contact grill will give you the best result. You can cook steak, burgers, boneless chicken with this options. You will not have to flip over food. The hinged floating cover and sturdy panini handle will perfectly adjust with the thickness of your food. Panini Press: By the panini press mode, you can cook sandwiches, quesadillas and bread. The sandwich will be pressed by the upper lid perfectly and keep the sandwich warm. It will result in a nice, yummy sandwich. The Cuisinart GR-4N 5 in 1 Griddler is so far the best indoor grill in the market. It 5 cooking options make this product very unique. The price is also very reasonable. You will find it awesome because you are getting all these magnificent features at this price. 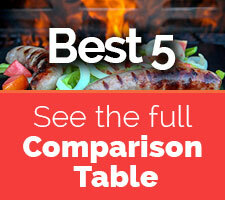 You can compare other indoor grills in the market and Cuisinart GR-4N griddler here. People who love cooking will surely fall in love with this Cuisinart indoor grill. It has been designed so smartly that it gives the enjoyment of cooking at another level. If you love to cook, then I highly recommend you to buy this product. Buy the product and use this. Cuisinart will give you 100% satisfaction. 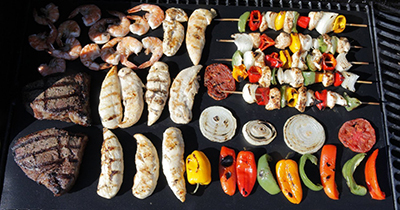 You will love the experience of indoor grilling. Again Cuisinart GR-4N is the best electric grill under $100.